Success rates for first-time entrepreneurs are thought to be as low as 18%, according to Business Insider. 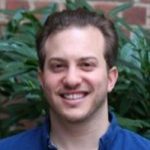 Self-aware, first-time entrepreneurs often identify lack of experience as a dominant cause of failure, and often aspire to create a team of advisors to share their unique perspectives, industry knowledge and wealth of experience. We’ve seen it time and time again—the initial excitement is off the charts, but it dissipates as time goes on. This lends itself to the fact that advisors must be placed on the team with metrics in mind to ensure time isn’t overvalued. It can be smart to launch without providing any stock options, or even compensation, to ensure those who are most passionate about your success (and not entirely motivated by money) are involved. But beware, some advisors are in demand and may expect compensation of some sort in exchange for their valuable time. How is this person personally or professionally vested into our mission? Does this person genuinely care about this industry and the problem we’re trying to solve? What can we gain from this person? What ulterior motives may this person have? Does this person have a body of work that aligns with our values? Mentors have walked the road you’re walking, advisors have seen your struggles time after time and fellow entrepreneurs are standing right beside you experiencing tough months. Finding others who you can rely on for collaboration isn’t just building a group of thinkers bent on talking about “the business” all the time. It starts as collaboration and a shared interest and turns into a support system of people who have advice on everything from scaling your product to sharing ways to overcome daily stress. 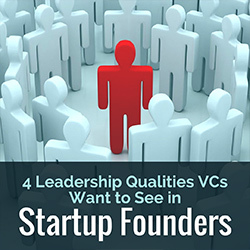 Many startup founders can benefit from applying to and participating within a startup incubator or accelerator as it can help get your business off the ground with support, coaching and even capital. 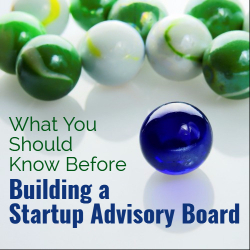 Want to learn more about building your startup advisory board? Link up with Talent Tech Labs.